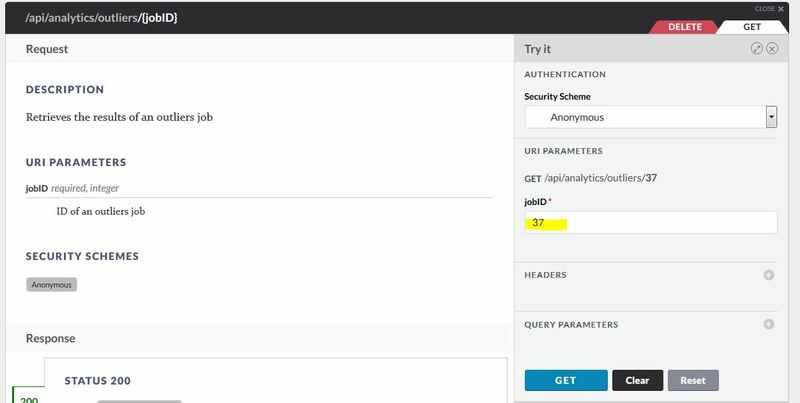 In the following blog I will show how the predictive service of the SAP Cloud Platform can be used to detect unusual behaviour of a production machine. This could be in the ideal case the basis to avoid unplanned future machine downtime. 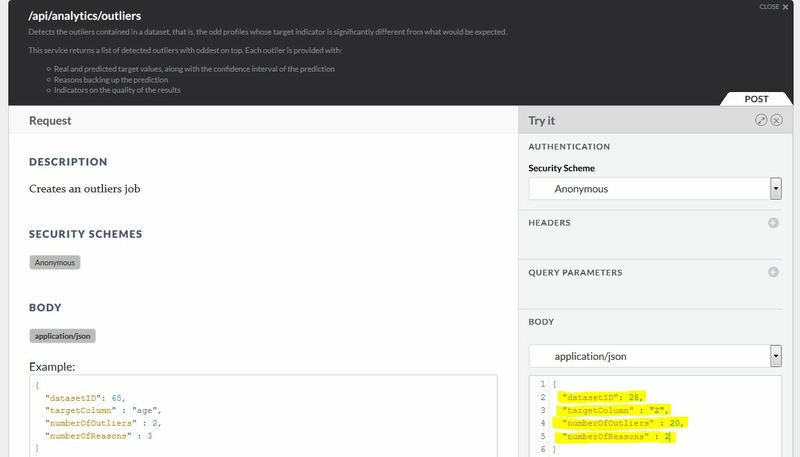 The Cloud Platform, predictive services API seems quite promising. You can make predictions on a set of data without the need of writing some code or even carrying about the structure of the data. The only thing you have to do is to get your data into the Cloud Platform and then call the intuitive, predefined API services. While playing around a bit with it I was thinking about a real case scenario which could be solved with this Cloud Platform service. Well, one of the mostly discussed topics currently in this area is predictive maintenance, therefore I selected this topic and tried to design something in this area. Think of a production company which has a lot of drilling machines in its production area. These machines are fixed but due to moving parts they have movements in the three axes. As they are working without human interactions rising problems for example with the spindle should be predicted by examining their sensor data. Due to the fact that drilling machines with build-in sensors for measurement of the 3-axis positions are currently rare and too costly for playing around I fixed my mobile phone on the drill of a simple drilling machine which serves normally to fix pictures on the wall of my flat ;-). With the installation of the free Android app Accelerometer on my mobile device the test setup is complete. 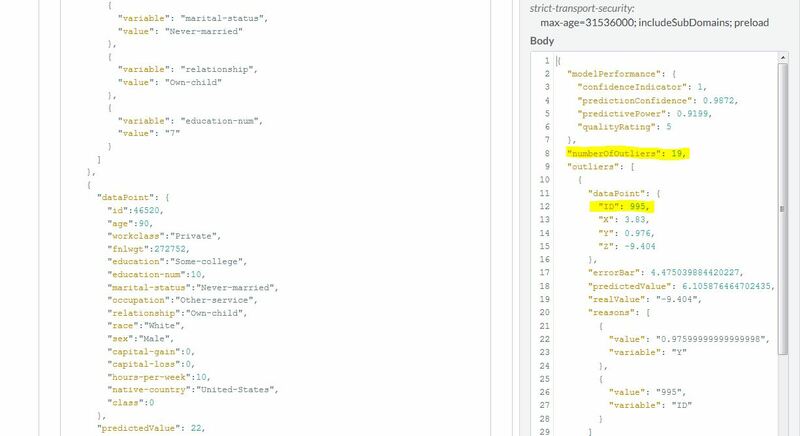 I will not describe the setup of the SAP Cloud Platform, predictive services in this blog as there is already an excellent blog in the SCN area: Predictive Services Starter Kit and if you prefer video tutorials I recommend the following two tutorials of the SAP HANA Academy Series: SAP HANA Academy – HCP predictive services: Getting Started (Trial Edition) and SAP HANA Academy – HCP predictive services: Outliers. Additionally I added a table POSITION_DATA with the fields ID, X, Y and Z to the schema PS_DATA in the HANA MDC database. After starting the sensor collection in the Accelerator app I switched on the drilling machine for approximately 50 rotations altering continuously the speed. Before the 5 last rotations I gave the machine a slightly kick, simulating a failure with the spindle, the y-axis fastener or something similar. To keep it easy I transmitted the collected sensor data afterwards manually first to my computer and then to the Cloud Platform. The Accelerator app delivers a CSV for each recording thus the import into the HANA MDC database on the SAP Cloud Platform is quite straightforward. The sensor data retrieved from the mobile phone contains approximately 1100 data points. 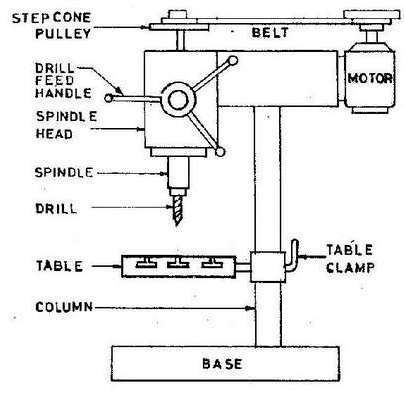 In my example the drilling machine was horizontal and the mobile was fixed also horizontally on the drill. This explains why the x and z axis values have high peaks (rotation) and the y axis small peaks (rotation axis) – just if you care. # The following file provides the data from accelerometer in the m/s^2 format. # so we have 4 columns with values separated by the ";"
To analyse my data I selected the Outliers API. My hypothesis is, if there is a condensed cluster of outliers in a certain timeframe this should correspond with a (upcoming) malfunction. The first step is to insert the data into the prepared table. As mentioned before I loaded the data into the table manually for simplicity reasons. Registration of the data in the Recommendation API. The second step is to tell the Predictive Service which data set should be used. This can be done with the POST-method /api/analytics/dataset/synch. The only parameter which has to be provided is the hanaURL which gets the value “PS_DATA/POSITION_DATA” as shown below. After pressing the POST button which did not fit on the screen shot above you get a Status 200 response in case everything could be processed like expected. In the response the ID which is needed to reference the data set is returned. In our case 28. After registering the data you can choose of various Predictive Services APIs. For this example Outliers fits best. To start the data processing the POST method /api/analytics/outliers has to be called. The method needs at least 4 parameters. As response the method returns once more an ID. In this case it is the job ID of the outlier processing which has be started. Dependent on the data size the processing takes some time, in my case not more than it takes too call then next method. The result of starting the outlier analysisWith the retrieved job ID the method /api/analytics/outliers/jobID can be called. This method return the calculated outliers if the processing is already finished. Querying the result of the outlier analysisThe result contains a lot of information. The important is the number of found outliers and then a list of all outliers with the real and predicted values and the main reasons why the data point is an outlier (the number of reasons was given as an parameter in the processing call). The result contains 19 outliers, shown in the diagram below. 13 of them are clustered on one area and the six remaining are splitted randomly. Thus it can be assumed that at the position next to data point 1000 there was an unusual behaviour which exactly corresponds to the slightly kick that I gave the drilling machine. 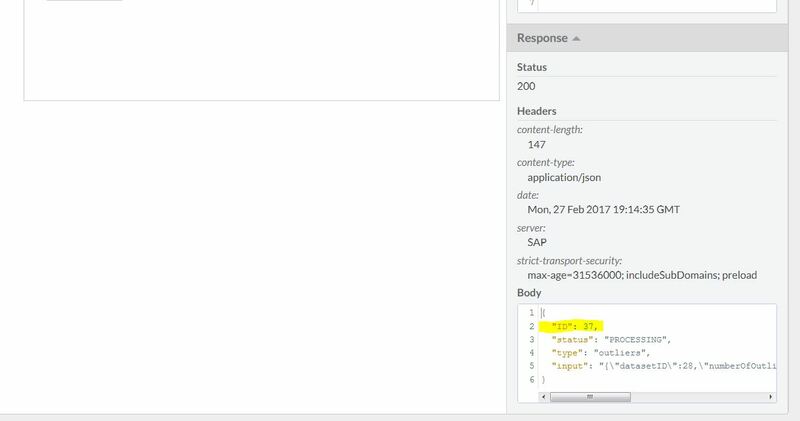 I am really surprised how fast you get the SAP Cloud Platform, predictive services running and how intuitive the handling of the different API functions is. The outlier service seems to give good results if the sensor data trend is smoove and/or of course if the outliers have a significant distinction to the common trend. The best results I got with sensor data correlating to a sinus function which is the case for the above example. Working with another machine that has a lot of noise in the sensor data lead not to satisfactory results. As a follow up to this concept the next step would be to send the machine sensor data in realtime. Well this is a bit of work but I do not see a show stopper in this step. To get the results in nearly realtime back is a different thing. Currently I know only the possibility to register the whole data at once and perform the analysis which takes together some time as shown above. Ideally in my opinion would be a possibilty to send one sensor data point (eg. one data point for X,Y,Z only) and receive as a result the information, if this single data point is an outlier compared to a sample data set or the already transmitted data set. 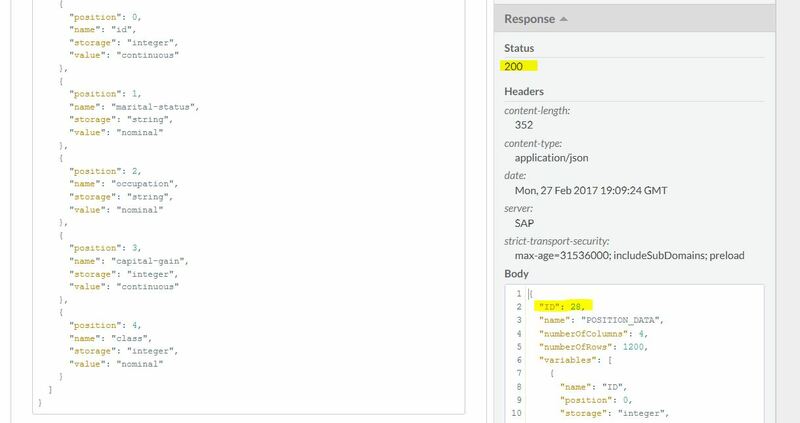 Thanks for reading till the end of this blog describing an use case with the SAP Cloud Platform, predictive services. Finally I want to encourage you to share your experience, suggestions and questions in the comment section below. Great blog – thanks for sharing this!